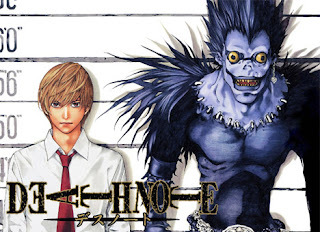 I hate the Death Note ending! The anime shows different perspectives of morality. It's choosing the lesser evil or justifying the means to gain righteousness or there is no gray in-between it's just simple good or bad. I wasn't expecting the anti-climatic ending. I got carried away that I forgot that he was an anti-hero and that the good always prevail blah blah and that the sunshine never sleeps on teletubbies land. 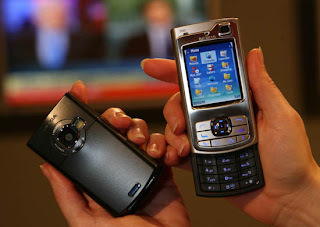 I was thinking of buying a PDA phone or qwerty phone but I changed my mind and bought N80i or internet edition. I chose this because of the 3.0 megapixels camera and wifi capability on top of 3G, mp3 player with loudspeakers, 512 mb SD card, video, radio etc. and its not more than 20k. I can even upload picture straight from my phone while browsing Friendster though a wifi hotspot. It's like a laptop, digicam and iPod rolled into one. Currently I've been signing up Americans for muni wifi services and it's selling like hotcakes. The dowt'snside is we can't get a life even if it's Fourth of July and I can't swap to get a Saturday nigt off! Grrr! I don't even know how much I'm earning for each sale. haha!